Easter is here, which is a great time for an Easter Treasure Hunt! There are lots of fantastic free treasure hunt clues and ideas available for you to use when you make your own Easter egg hunt, or any other type of treasure hunt. If you want something special for a Easter take a look our Easter Treasure Hunt page, or you can download our free treasure hunts which include ready-made treasure hunts for you to download and print your clues. There is a free treasure hunt idea tool to create a treasure hunt online. The tool has loads of clue ideas in different formats (alphabet substitution, flag signals, mirrored writing etc) and fifty locations you would find around the home that would be suitable for hiding clues. This gives our treasure hunt creator almost 400 clues to choose from! 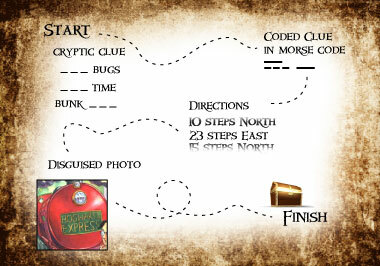 In addition, you can add your own clues to your treasure hunts; simply use the "Create your own clue" option. Children love treasure hunts (especially if there is a prize at the end), but adults treasure hunts are great too! Treasure Hunt Ideas for Adults contains some great clue ideas on how to make a treasure hunt for grown-ups! 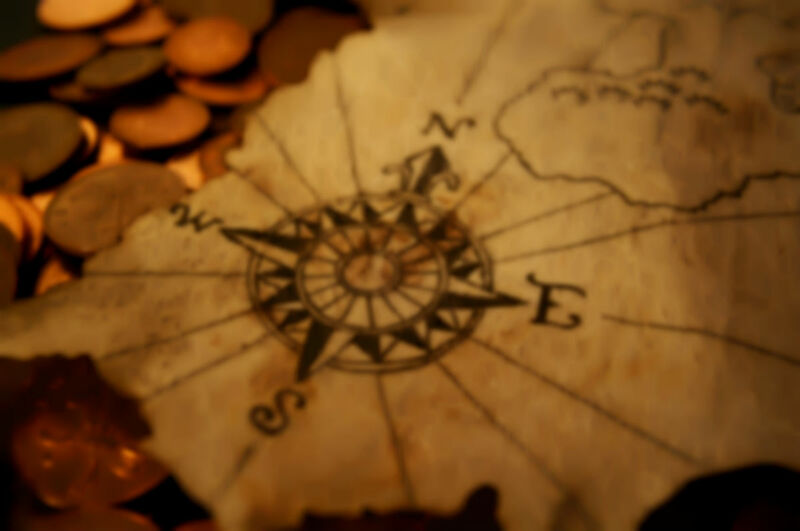 Our Hints and tips page gives some advice on how to set up a treasure hunt, and things to look out for when making one. You can browse our idea categories or view all our clues for children and adults ideas in one list. The location of the next clue converted into mirrored text. Convert the location of the next clue into mirrored text so that it can only be read by reflecting the text in a mirror. The easiest way to create the clue is to write it in front of a mirror, looking into the mirror whilst writing. Messages are mimed one letter at a time from one person to another. A secret message is coded into an image which can be read by (most) smartphones. The list of treasure hunt clues is expanding, and if you have your own ideas or clues and would like them listed on the site as inspiration for others please send them to us as ideas@treasure-hunt-ideas.co.uk. Make sure you include your name so we can include you as the idea's creator!